The number of businesses out there looking to achieve sustainability of the workplace continues to grow. While that is great news, there are still lots of businesses that struggle in finding ways to achieve this goal without compromising their regular business operations. There are, however, ways to get started without having to make drastic changes in the operations. 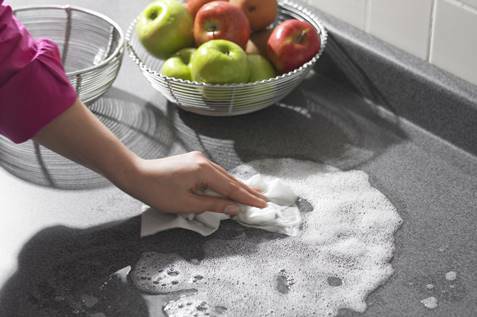 In fact, even the simple things like improving cleaning methods can make a lot of difference. A good way to go about adopting the basic cleaning methods that can easily be incorporated into the workplace operations is the use of reusable food glass wipes. These are better alternatives to the regular cleaning cloths that are used and disposed of immediately. Restaurants and other businesses from the hospitality industry must keep their facilities clean and hygienic to sustain the good health of their customers and workers. Dealing with food is very sensitive. For this reason, it’s important for the managers to make it a duty to ensure only the highest hygienic standards are maintained in the restaurant and inside the kitchen where food is made. The health practices and standards must exceed the standards specified by the health regulatory authorities. It is very easy for the sanitary conditions of a kitchen to be compromised. Everybody seems to go through it for many reasons, both official and nonofficial, and that might end up causing cross contamination into the kitchen area. The kitchen must be cleaned and all surface sanitised before and after use. This should be done for all the kitchen utensils and other equipment regularly used. Using that many chemicals in the area where the food is prepared doesn’t sound very good. That is why it is important to follow specific recommendations for safer sanitizers and disinfectants that can be used in the kitchen. 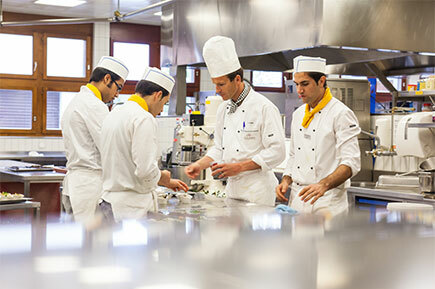 To sustain the restaurant business, it is important to keep the kitchen very clean and also to let the customers know about your high standards. Many customers choose their restaurant based on the confidence they have in the hygienic practices of that establishment. Due to the nature of the activities that go on in the kitchen, it is easy for the contaminants like pests and bacteria to take over the neglected areas. Make sure that never happens. What kind of chemicals are safe for cleaning the kitchen? When it comes to using chemicals in the kitchen, extra care is taken to use different cleaning chemicals for different purposes. Chlorine bleach and iodine are ideal for cleaning and disinfecting surfaces and cooking utensils. Alkali detergents are ideal for more serious cleaning needs in the kitchen. Acid based cleaners are ideal for cleaning out used ovens and removing stains from the floors and walls. For washing and general cleaning needs, the common detergents can be used. Restaurant managers use chemical cleaners that are graded for industrial use rather than purchasing those cleaners packaged for the regular commercial user at home. These industrial grade cleaners are more potent against dirt, grease, and bacteria. Paper cleaners are not sustainable for reuse. They are essentially discarded after the first use. It is preferable to use recyclable cleaning materials. Some brands of paper cleaning materials have been made to withstand multiple uses, but they are not recyclable. This means they will be used until they have been contaminated and sometimes even after that. This is a very dangerous practice as it puts health of a lot of people into jeopardy. For better hygienic conditions, it is preferable to use cleaning materials made of polyester or cotton. These options are more hygienic and can improve the cleanliness in the restaurant. A good system that can be introduced for the use of these cleaning materials is to make them easily identifiable by colour coding. The different colours will be used to identify the cleaning wipes and the purpose for which they can be used. Green wipes are used only when raw food is handled. Blue wipes are used only when cooked food is handled. Pink wipes are generally used as cleaning cloths within and outside the kitchen. White cloths can be used for a wide range of purposes. These colour specifications have been made mandatory by the HACCP Food Safety System. It is a system that clearly shows if a restaurant has complied with these hygienic directives. Cotton cloths can be used for a wide range of applications including cleaning of chairs, the kitchen surfaces, drying dishes, and glassware. Cotton cloths are excellent for drying dishes due to their high absorbency. They are also ideal for general cleaning purposes. Polyester cloths are ideal for cleaning glassware and wine glasses. They are most effective when moistened. Many cleaners prefer the use of the polyester cloth because they leave no traces of lint on the glassware. A drawback to the use of the polyester cloth is that they should never be used close to a source of heat or on hot surfaces because they will melt. The polyester cloth appears similar to the cotton cloth. The difference between these two is the materials from which they are made. Cotton cloth is made from natural fibres while the polyester cloth is made from polyester and polyamide materials. The threads of the polyester cloths are thinner than those of the cotton cloth. The polyester cloth also has a more durable elasticity which will be resilient to shrinking or stretching. The polyester cloth has the ability to trap dirt in-between the fibre when used for cleaning. This is done by the angled edges which are made out in splits in-between to trap the moisture and dirt. The microfibre cloths also have the advantage of a prolonged usage. They can be used and washed over 500 times with cold or warm water. The laundry recommendation is an industrial laundry wash to disinfect the cloth. However, the most commonly used cleaning cloth is cotton. A 100% cotton cloth is made by spinning natural cellulose with long staple cotton which is woven into the soft and highly absorbent cotton cloth. The absorbency increases after the first washing, it is however not as efficient in cleaning glassware because it leaves traces of lint on the glass. The two options for cleaning cloth are good moisture absorbers. Cotton absorbs moisture 3 to 6 times its weight while the polyester cloth absorbs as much as 6 to 10 times its weight. The likelihood of causing scratches is lesser when the cotton cloth is used for cleaning. The cotton and microfibre wipes are used for similar purposes, but there can be distinctions for special usage. It is important to know all the cleaning features and how well they can be used to get the desired results. 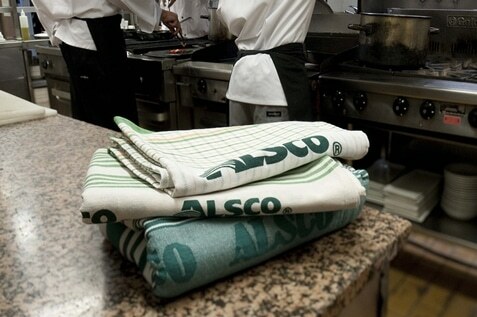 At Alsco, you will find a wide range of wipes made from cotton and microfibre. We can cater to all your cleaning needs and we have a wipe for every purpose. 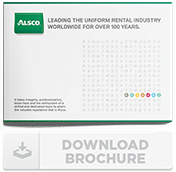 For more information on the products and services we offer, please call +65 64550150 or visit www.alsco.com.sg Our friendly customer support team is waiting to assist you.